Happy Monday! I am so excited to announce that I am now a part of the Sweet Stamps Design Team Sweeties. I feel so honored to be among wonderfully talented ladies and I can't wait to get to know them. This is my first project for Sweet Stamps. 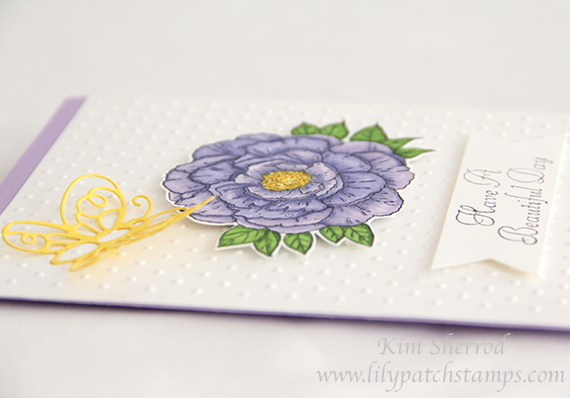 I am using this beautiful Cabbage Rose stamp and stamped using Memento Tuxedo Black ink. I colored in the image with Copic markers. I did some dry embossing to give the white cardstock some texture. The butterfly is a Sweet Stamps' Sweet Cuts die called Flutterby. I stamped the sentiment then freehand the banner. The image and sentiment are popped up using 3D tape. Sweet Stamps is currently having an anything goes challenge over on the blog. 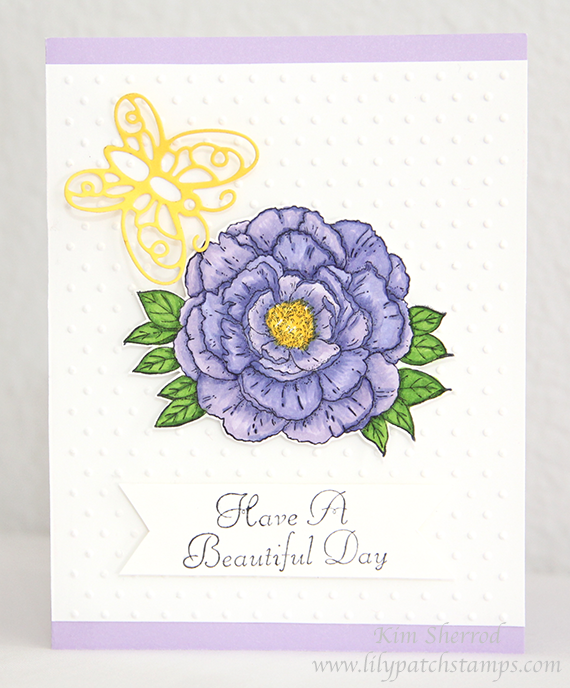 Check out the Sweet Stamps blog for more DT inspirations and enter to win some fun products. Very beautiful CAS card... love it! 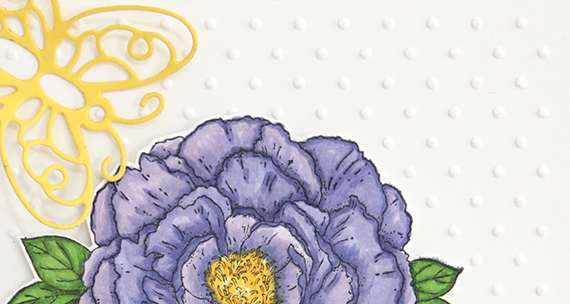 Beautiful card, love the coloring on the rose! Very pretty flower! 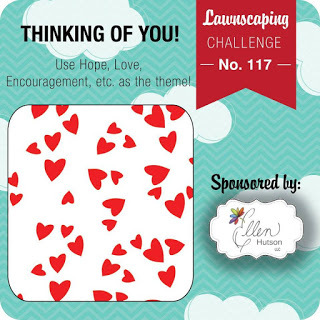 Thanks for linking up to the Lawnscaping Challenge!